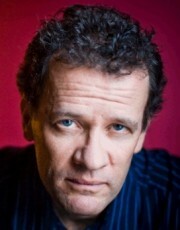 Yann Martel became a major author with the publication of his novel Life of Pi, and the subsequent film by Ang Lee (who won an Oscar for direction). His latest novel, The High Mountains of Portugal, deals with the nature of faith in three related stories set in the backroads of that Iberian country. In this interview, he talks about this new novel and its philosophical underpinnings, about the making of the film Life of Pi, and about his correspondence with Stephen Harper, former Prime Minister of Canada. Hosted by Richard Wolinsky. The complete interview can be heard on the Radio Wolinsky podcast in the Area 941 section of this website.